Product prices and availability are accurate as of 2019-04-18 03:15:56 UTC and are subject to change. Any price and availability information displayed on http://www.amazon.com/ at the time of purchase will apply to the purchase of this product. Get inspired by the beauty of the Chloe™ Marlow sunglasses. Plastic frames and temples. Plastic lenses offer 100% UVA/UVB protection. Integrated nose guards. Brand name engraved hardware at temple. Most complementary face shapes: oval, round. Protective case included. Made in Italy. Warning: This product contains chemicals known to the state of California to cause cancer and birth defects or other reproductive harm. Measurements: Temple Length: 143 mm Frame Width: 139 mm Lens Height: 53 mm Weight: 1.6 oz Lens Width: 58 mm Bridge: 16 mm This product may have a manufacturer's warranty. Please visit the manufacturer's website or contact us at warranty@support.zappos.com for full manufacturer warranty details. 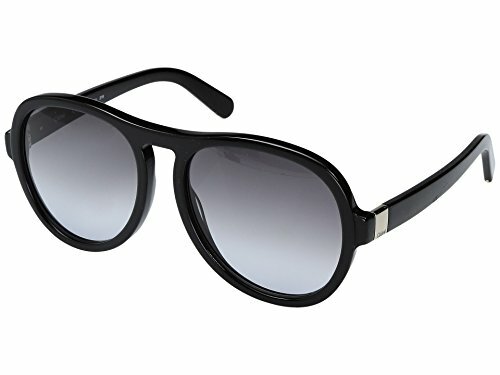 Get inspired by the beauty of the Chloe™ Marlow sunglasses.